The NASA IT Security (ITS) Division within the Office of the Chief Information Officer strategically manages Agency-wide security projects to correct known vulnerabilities, reduce barriers to cross-Center collaboration, and provide cost-effective IT security services in support of NASA's systems and e-Gov initiatives. The ITS Division ensures that information technology security across NASA meets confidentiality, integrity and availability objectives for data and information to include disaster recovery and continuity of operations for systems. The ITS Division develops and maintains an information security program that ensures consistent security policy, identifies and implements risk-based security controls, and tracks security metrics to gauge compliance and effectiveness. The function is responsible for performing audits and reviews to assess compliance with security and privacy policies and procedures. NPD 2810.1, NASA Information Security Policy, and NPR 2810.1 Security of Information Technology, provide more details on IT security requirements at NASA. 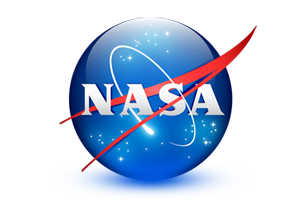 Strong Crypto Innovations has provided business and technical support to NASA since 2008. Strong Crypto Innovations (SCI) provided comprehensive IT security to NASA’s public portal (www.nasa.gov), intranet (insidenasa.nasa.gov), as well as several agency-wide web applications including the NASA Access Launchpad (Web application Single Sign-On solution), NASA IPTA/PIA Repository (Initial Privacy Threshold Analysis and Privacy Impact Assessment), NASA Spacebook (social networking site), and NASA FOIA (public and intranet Freedom Of Information Act portal). The OCIO and IT Security Division have grown and matured to meet the changing mission requirements as defined by NASA Leadership, Congressional mandates and public scrutiny. There will be greater sharing of IT innovations across the Agency to support the scientific missions in the future and IT Security will need to put processes in place to streamline its efforts at maintaining a safe and secure environment.